VTS Courses V-103/2, VTS Supervisor Training Course, the duration of this course is ten days. On successful completion of the VTS course and assessments, the participants should have been presented with sufficient training and to carry out with competence the duties of a VTS Supervisor at a VTS centre. In particular they should be fully conversant with the administrative functions of a VTS and the methods of responding to emergency situations as well as the principles of Vessel Traffic Services, the services that a VTS centre can provide to shipping and the resources and means of providing those services. VTS Courses V-103/4, VTS On the Job Training Instructor, The duration of this course is ten days. On successful completion of the course the OJT Instructor will acquire basic skills and a practical ability to demonstrate appropriate instructional techniques unique to On-the-Job-training. They should also be fully conversant with the processes and procedures required to meet OJT requirements of specific VTS centres. 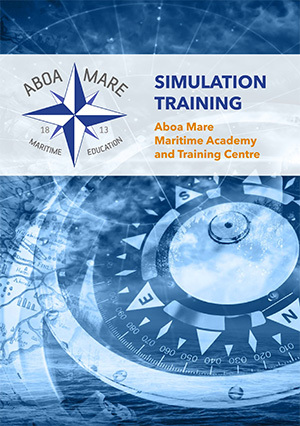 Are you implementing VTS systems in your area, please contact Aboa Mare to be your VTS training provider.